One piece body. 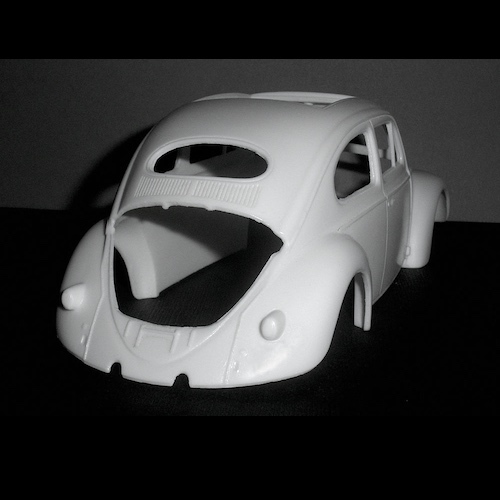 Made to fit the Tamiya Beetle kit. 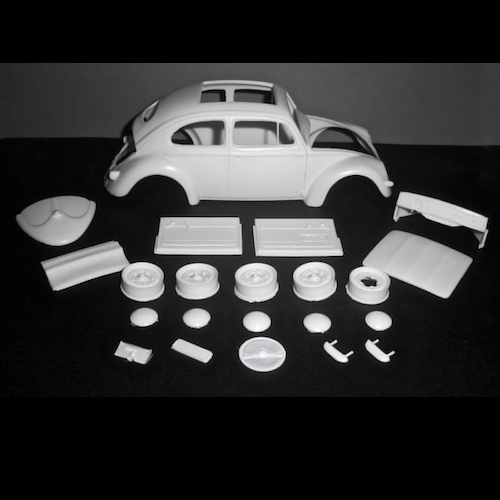 Includes body, wheels, hubcaps, boot lid, door panels, sun top, dashboard, steering wheel, and other small parts to do the conversion from the Tamiya kit.